The IBC Show, which annually attracts some 150,000 visitors from over 160 countries, always comes too soon for us, after the European summer holidays. This year was no exception. The first event hosted on Friday the 9th September by GatesAir company gave us a few emotions. The participants became more numerous and things got from nice to exciting, even great event within the first 30 minutes. 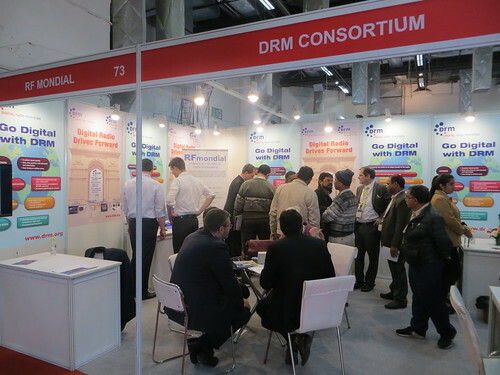 GatesAir unveiled their DRM+ G4 Exgine card offering a quick DRM digital upgrade solution for their range of Flexiva FM transmitters, developed in association with another leading DRM Consortium member, RFmondial. 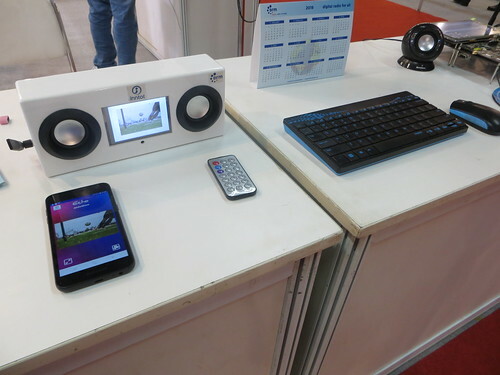 While the presentation was progressing we were surreptitiously looking at the new receiver Gospell GR-216 which works in DRM30, analogue AM and FM stereo. 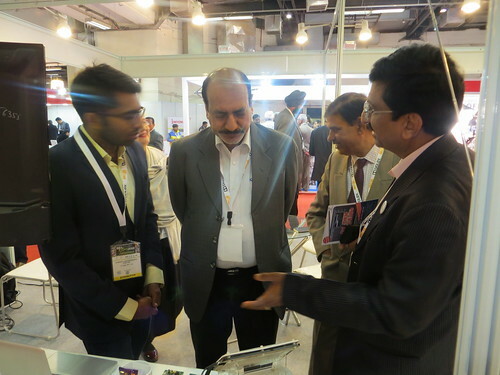 It had been brought straight from China by new Consortium member Gospell Digital Technology. The honey coloured receiver was sitting next to the established Indian Avion. But where was Titus II? 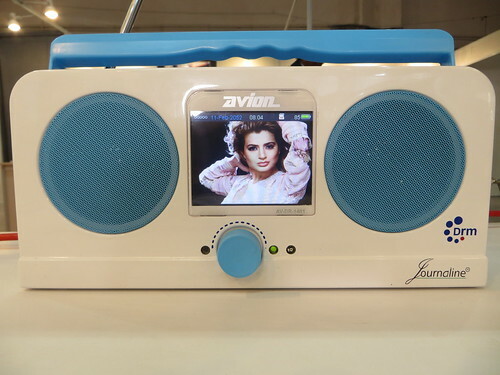 At the last minute, coming straight from the airport, Tom King, representing TWR and PantronX turned up with the grey-purple Titus II, a receiver that is based on an SDR/android tablet solution for DRM and analogue. On Saturday, the busiest day for us, Digital Radio Mondiale members announced new transmitter deployments. Thomson Broadcast in their event emphasized the return on investment and cost-effective nature of investing in DRM transmitters. 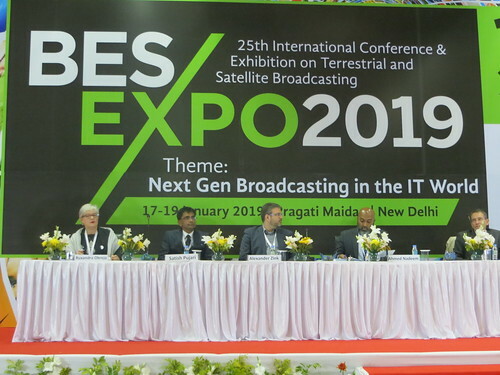 This most ambitious of presentations was enhanced by contributions from RRI, the public broadcaster in Indonesia, and WECODEC, a non-profit organisation serving disadvantaged communities in South Africa. In their own words they made the link between the benefits of DRM and what their countries and people want and expect from DRM. All against a beautiful RRI video. The DRM standard felt for real. At lunchtime a quick stroll in the warm sun of Amsterdam and it was time for the traditional Saturday DRM event hosted by Nautel. Among this year’s highlights was the announcement that in Europe, Antenna Hungaria (the national network operator in Hungary) recently placed an order for an NX2000 DRM-capable medium wave system, which comprises five Nautel NX400 transmitters with a combiner. 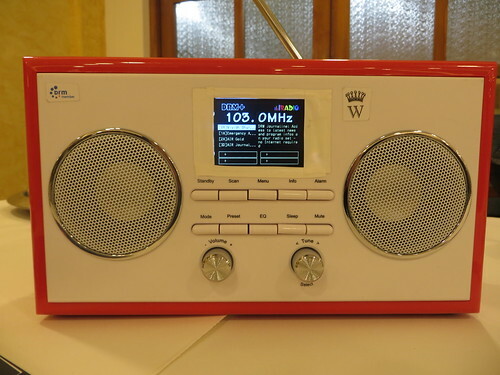 The Nautel representative in India also announced that All India Radio had demonstrated further confidence in the company and ordered another six DRM-capable transmitters to supplement the existing twenty seven Nautel and the altogether thirty-five DRM transmitters currently delivering the largest digital radio project in the world. 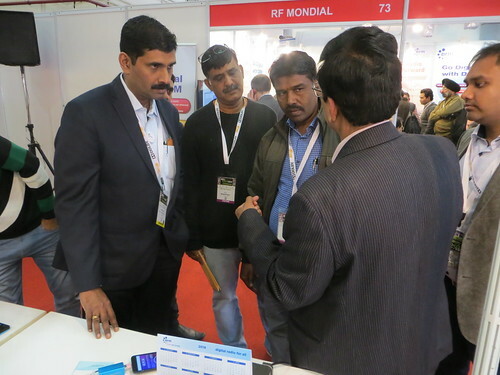 The presentation at the Nautel booth was short and made three important points: receivers are coming at reasonable prices so, please, order them; AM is far from dead and India leads the way in radio deployments. Even if the formal part was short, the conversations that followed were animated as they were also well fuelled by a glass or two and by the now superb Nautel cake! 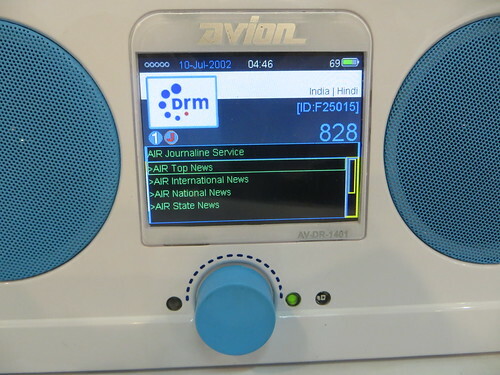 Every day the DRM events were accompanied by Babcock International’s live BBC DRM transmission on 7240 kHz to Amsterdam. So without catching our breath or noticing, IBC 2016 was over. 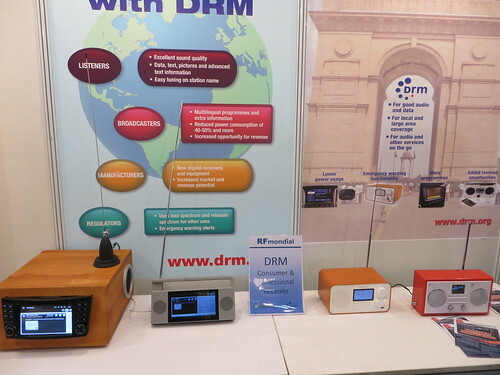 But for DRM this was not just another fair, another year. It was real, it delivered and DRM seems to be truly on the way of bringing transmissions, receivers and the listeners together. 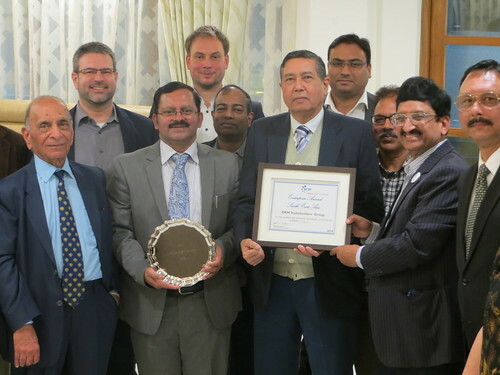 We have hardly returned back to London and work started in the Project Office for the next two big events attended by the spirited and passionate DRM representatives: the Asian Broadcasting Union (ABU) General Assembly and the Caribbean Broadcasting Union (CBU) General Assembly. Not easy being all-band, digital and global!